Facebook has introduced a free listing of music tracks you can add in your videos without breaking copyright laws. Dubbed as the Facebook Sound Collection, the music library offers a wide array of high-quality audio tracks and sound effects, according to the company. Facebook wrote that they added audio from around the globe to bring life to its users’ videos. They took ownership of these sounds and—to the delight of many—these are “free and clear to use” for video creators to create and share on Facebook and Instagram. The Sound Collection brings to your screen and speakers tracks from well-established songwriters and composers, along with a range of sound effects. It spans genres from pop, country, jazz, to hip-hop and more, Facebook added. According to TechCrunch, The New York Times reported in February this year that Facebook has long been searching for this kind of offering. The report went on to say that the social network has been pursuing deals to allow users to add Top 40 songs in videos since 2015. While the Sound Collection has much to offer, Facebook has yet to reach an agreement that will add music from artists you regularly hear on the airwaves. Still, the audio library opens a new range of options for video creators. It allows them to add music without the fear of infringing copyrights. The audio tracks sound generic so they are perfect for background music in videos. While not as engaging as your all-time favorite song, these options still add an edge to your videos. The thousands of tracks in Sound Collection is a good start. If the music library gains traction, Facebook may close deals to add some well-known musicians, effectively increasing its value proposition. To start adding music to your videos, visit the Sound Collection here. Facebook started rolling out the tool on December 8 so it will be available to all video creators in the next few days. Apart from its audio library, Facebook also introduced its 360 community resources and tools to push creators in making 360 videos for the social network. The community page has helpful resources that connects creators with each other and share information on 360 cameras. 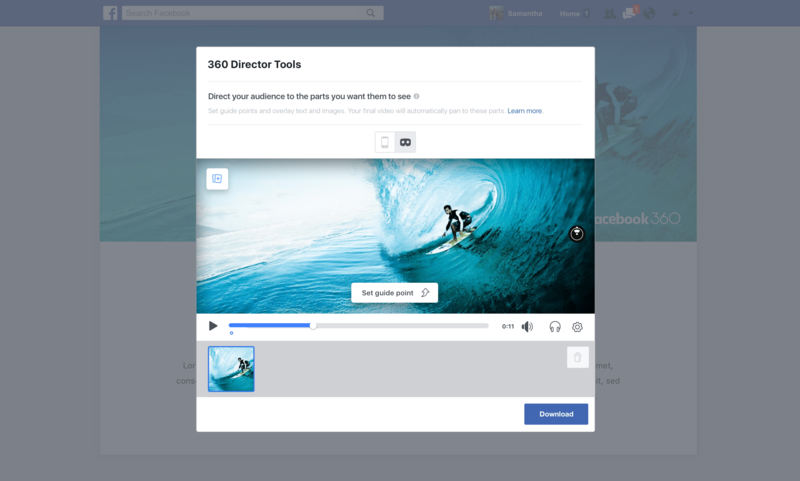 In addition, Facebook launched a 360 Director Tools for Pages and profiles to bring more publishing options for 360 videos. More than one million published 360 videos are on the platform, says Facebook. And as Facebook CEO Mark Zuckerberg repeatedly said, video is the next mega trend after mobile. VR sets the tone for the shift toward this reality. While time can only tell when it will happen, the continuous development of cutting-edge tools brings us closer to the next phase of video evolution.